We invite you to experience first hand the look and feel of quality craftsmanship backed by outstanding personalized service. Visit our stores and be inspired by the many different styles of furniture, upholstery, lighting, accessories and more. Come explore one of showrooms, and discover for yourself the quality that has come to be known as ACP Home Interiors. If you have any questions or need additional information, please call the location nearest you. Love your new piece or accessory? Experience great service? Please consider leaving a Google review of our Boca Raton showroom, our Delray Beach showroom, or our Highlands showroom. Thank you for your feedback! 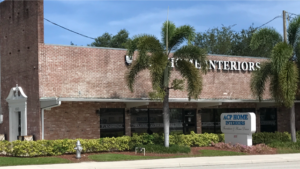 Street view of our new Boca Raton showroom at 850 North Dixie Highway.